What if the best agent is not an agent? Today, companies have access to a large amount of data that provides customer interaction insights across all channels. Think about the recent acquisition of Altocloud by Genesys that will help organizations deliver a highly responsive, predictive, and fully contextual experience throughout all stages of the customer journey. Artificial intelligence and big data are also becoming more mainstream when it comes to selecting the best agent in your organization. But what if that agent is not an agent but a manager in one of the branches of your bank, or the expert on 4K TV sets in one of your local stores? What if that “agent” is a field technician that is on their way to the customer’s house for a technical intervention? Would you route that high-value interaction to an end-point that is not monitored and risk not capturing the follow up through chat or voicemail? Beyond the formal contact center, there are many resources who can collaborate on customer issues or take full advantage of opportunities as they arise. They are often uniquely qualified to address a customer situation in real-time. Businesses are now using and seeing benefits of such collaboration. A branch manager in a bank can be the best correspondent when a customer uses a call to communicate about closing a mortgage. Getting direct access to the manager is a great experience for the customer improving his relationship with the manager and the bank as well. Also for the manager, getting that high-value interaction routed straight to his mobile allows them to engage directly with the customer and to use their commercial skills. Besides overcoming organizational barriers, extending the customer journey touchpoints to anyone in the company requires specific attention to the technology. Mobile solutions need to comply with several usability requirements to make sure that the user experience is not the factor that would stand in the way of implementing the technology. The technology needs to be robust for monitoring and managing interactions. It requires connections to your Genesys solution and you don’t want your users to have to re-connect each time they lose their data connectivity. Connections should be consistent, allowing to re-connect open sessions and active interactions seamlessly. The mobile solution also needs to be secure. Sensitive data about your customers and your interactions will be sent over the internet and outside the secure environment of local secured networks of companies and their branches. Connections to the centralized Genesys solution should be safe and secure at all times. Mobile solutions need to be scalable and integrated into a larger customer engagement hub, preferably in a native way. Information coming from other environments such as CRM or legacy systems should be available in a mobile, user-friendly format. 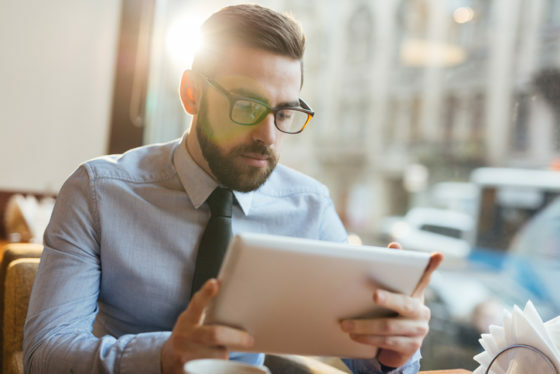 With Mobile Office for Genesys, you can now implement such a robust, secure and scalable solution that integrates seamlessly into your existing customer engagement hub. Mobile Office for Genesys is a powerful native app, available on Android and iOS, that connects to the Office Server to your Genesys PureEngage environment (and soon also to the PureCloud). Mobile Office for Genesys supports voice inbound and outbound, chat and open work items. It can help you resolve a number of specific business requirements that are often encountered today. Think about the banking legislation in some countries that requires all customer calls to be recorded (including the mobile calls) or the need to be able to route work items to nomadic users in the field. Mobile Office for Genesys also comes with a customization center to adapt the look and feel for company branding or to integrate back-end and legacy systems. Integration with Dynamic Case Management (DCM) comes out of the box. Once you overcome the organizational barriers to make these structural changes, putting a reliable and user-friendly solution in place might be the first and most important step in making the employee engagement successful. We all know that those motivated and enthusiastic employees are needed to make the digital customer experience transformation happen.